A variant of our Model 357 non-browning zoom lens developed for DEKRA Visatec GmbH for use on their VT XLRAD-10 PTZ camera is enabling them to offer a powerful new radiation resistant inspection system. The new compact inspection camera system has proven in testing to offer amazing image quality and the possibility for close up pictures in high radiation environments. For over 20 years – DEKRA Visatec (www.dekra-visatec.com) has been at the forefront of innovation in the non-destructive visual testing market. 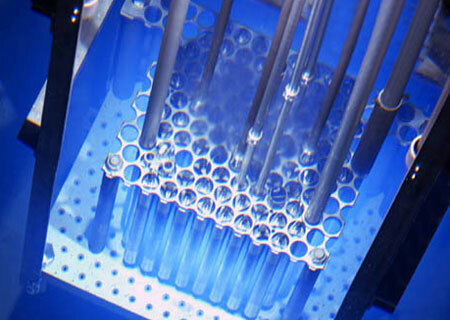 DEKRA Visatec inspection camera systems are used by many of the world’s leading nuclear organizations. Marcus Jocham, Business Development manager at DEKRA Visatec said “We chose to enter into a long term partnership with Resolve Optics because of their extraordinary technical support and pedigree in developing and supplying OEM quantities of top quality, high-performance radiation resistant lens”. 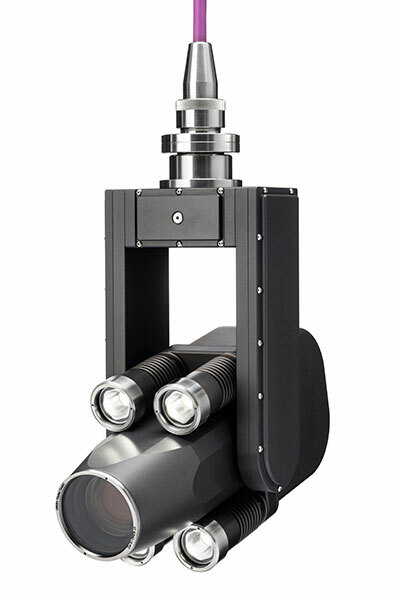 Mr Jocham added “Combining remote control of lens functions with true high definition quality images, over a 10x zoom range, the motorised Model 357 lens enables our new camera system to set a new standard for safe, high quality inspection of hot cells and nuclear fuel rods”. The Model 357 uses specially selected non-browning glass enabling it to produce clear sharp images free of the strong yellow tint that has traditionally been a limiting issue when using radiation resistant lenses on colour sensors. The non-browning glass used in the Model 357 is proven to withstand long-term exposure to radiation up to a dose of 100,000,000 radians and temperatures to 55°C without discoloration. Operating at f/3.6, the 2/3-inch format Model 357 provides high image resolution and minimum geometric distortion from 400 to 770 nm, and can image objects from 1.5 metres to infinity without using add-on adapters. When focused at infinity, the lens achieves high image resolution at full aperture throughout the zoom range without refocusing. Drawing upon approaching 30 years experience – Resolve Optics has built a strong reputation for specialist lens design and manufacture of smaller production quantities of radiation-resistant (non-browning) lenses and optical products on time to strict quality and target price guidelines.